How long does hummus last? Does it ever go bad? Is there anything that can be done to make it last longer? What if you eat hummus that has already been stale? If you have these questions, do not be left wondering. Read this post and we have the answers! It depends on – this is the answer to the question about the length of time at which you can still consume hummus. There is no universal answer as there are different factors that will come into play. Their storage life depends on their type or manner of preparation. For store-purchased hummus, they usually last for three to ten days when they are kept in the fridge unopened. On the other hand, once they have already been opened, they will last for four to six days inside t﻿he ﻿﻿fridge. If you want the store-purchased hummus to last longer, put it in the freezer. If it has been unopened, it can last for up to 8 months. The freezing temperature, as long as it is sealed, makes hummus longer lasting. Freezing, however, is not often recommended. 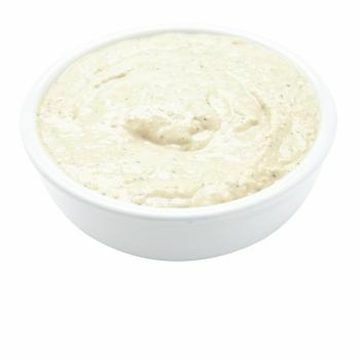 When thawed, the hummus properties can be altered, which results in significant changes in texture and flavor. The best way to check is to look at the Best By Date provided by the manufacturer. You can add one week after the date if the hummus is kept inside the fridge. If not, strictly follow the date stated. Because of using fresher ingredients, the storage life of homemade hummus is usually shorter. If it is stored in the fridge, it can last for three to five days. Some might opt to put it in the freezer, but this is not recommended because thawing leads to alterations in flavor, as pointed out earlier. To make hummus last longer, proper storage is necessary. Just like in the case of other ﻿foo﻿d﻿﻿s, right handling is critical in making it fresher even after several days. Once hummus has been opened, keep it in the fridge as soon as possible. Make sure it is tightly sealed or the cap is closed properly. Penetration of air can affect its quality and lessen its shelf life, even when already kept inside the refrigerator. If you are not yet ready to consume packaged hummus, avoid opening. Once opened, it naturally attracts the growth of microbe. In turn, it speeds up spoilage. You should also know how to spot signs of spoilage in hummus to easily tell if you can still eat it or if it needs to be thrown away. Aside from visual signs, its smell can also be indicative of its freshness. If it smells sour, do not attempt to eat it. One of the obvious indications that hummus is bad is when molds start to appear. They can appear as blue patches or green spots. As a sign of rotting, this means hummus must be discarded right away. In extreme cases, you will see bubbles on the top of the hummus. This is especially the case if it has been left unrefrigerated for a long time. Obviously, this means that the hummus is no longer safe to be eaten. Hummus lasts longer when it is frozen, but this can negatively affect taste when it is thawed. For frozen store-bought hummus, shelf life is six to eight months. For store-bought hummus, if it is bought packaged and if left in the fridge unopened, it can last for three to ten days. When opened, on the other hand, it lasts up to six days. For homemade hummus, it can last up to three to five days, both when frozen or kept inside the fridge. Sistema Klip It Collection Lunch Cube to Go Food Storage Container is one product that you might want to have if you want to keep hummus fresher for a longer span of time. With its air-tight seal, hummus can remain at its best even through several days.